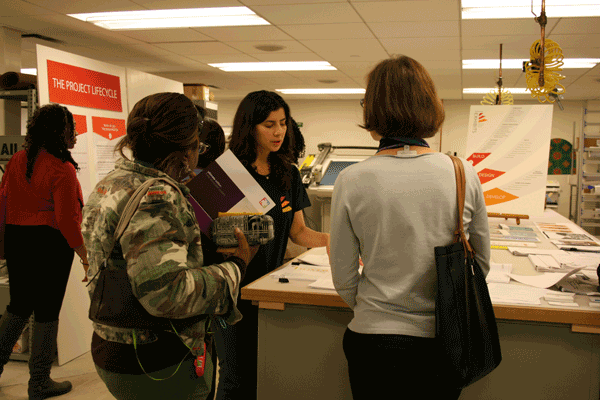 Our open house on October 29th was a rousing success! 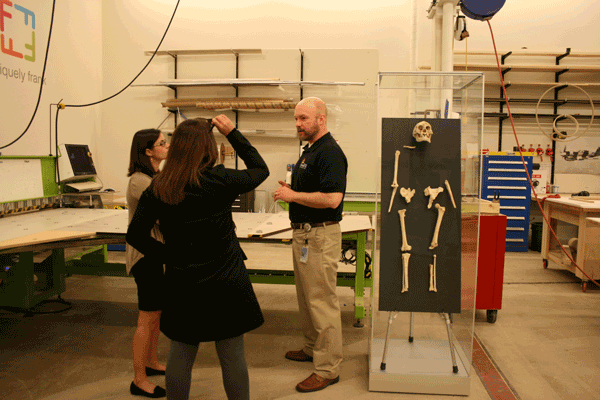 Colleagues from throughout the Smithsonian, and a few from outside institutions as well, toured our facility in Landover and joined us for lively discussions about exhibitions. This was an all-staff effort, and we had people from all of our services available to discuss what we can do. Rob Wilcox talks to guests about project management. The skeleton had little to contribute to the conversation. 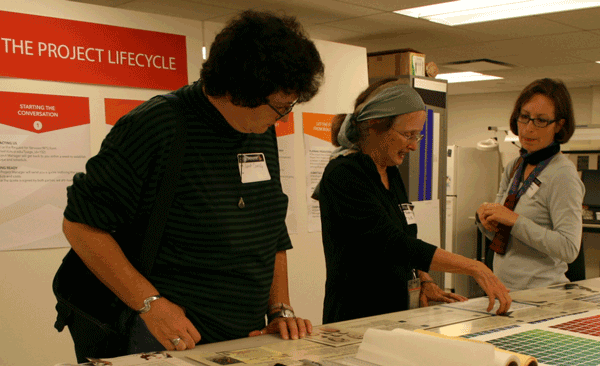 Exhibit designer Emily Sloat Shaw walks guests through the design process. Senior writer/editor Rosemary Regan (center) discusses scriptwriting. 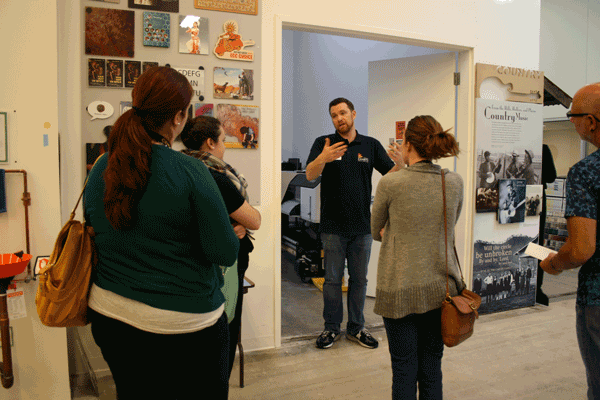 Graphics specialist Evan Keeling talks about graphic production. Fabricator and archival framer Jordan Tierney (third from right) and guests stand in front of portions of Wonderplace, which will be installed at the National Museum of American History in the coming weeks. 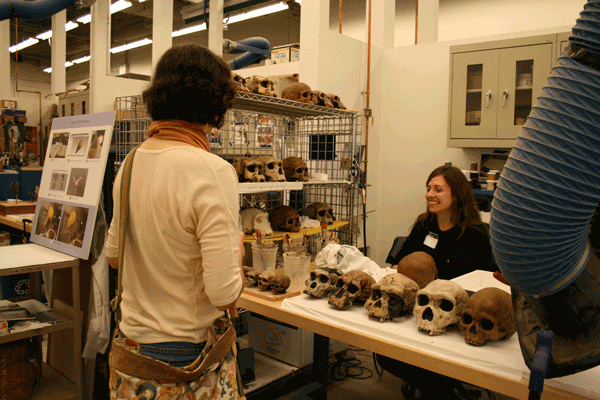 Erin Mahoney describes the process of creating 3D printed skulls for Exploring Human Origins. 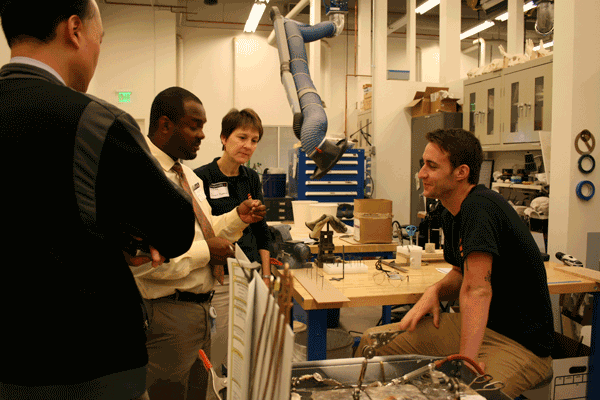 Project manager Mary Seng (back) and mount maker Zach Hudson (right) show some of the custom mounts and brackets made for the 2016 opening of the National Museum of African American History and Culture. We had a blast talking about how we can work with clients to Develop, Design, and Build their projects. If you missed our open house, or want to continue a conversation you started, you can contact us through our website or by phone at any time. 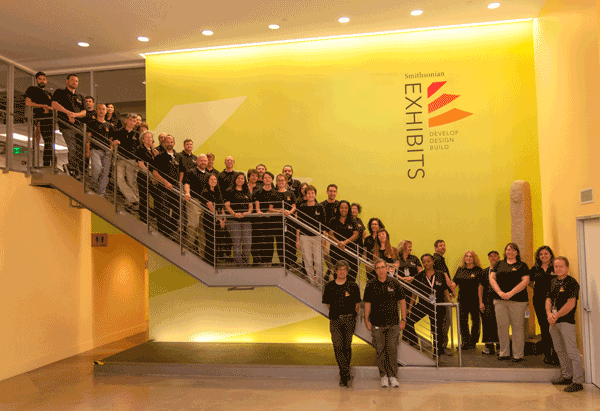 A big THANK YOU from all of us at Smithsonian Exhibits to the 250 guests who came to see us! 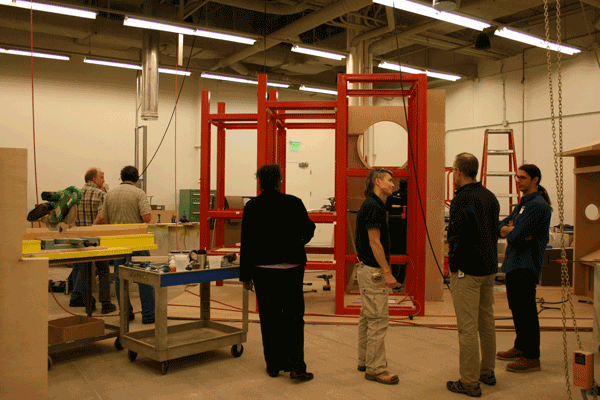 Aesthetic Problem Solving: What Does Smithsonian Exhibits Look Like?